Last Friday the 12th August is the most anticipated date on the calendar for game shooting enthusiasts. 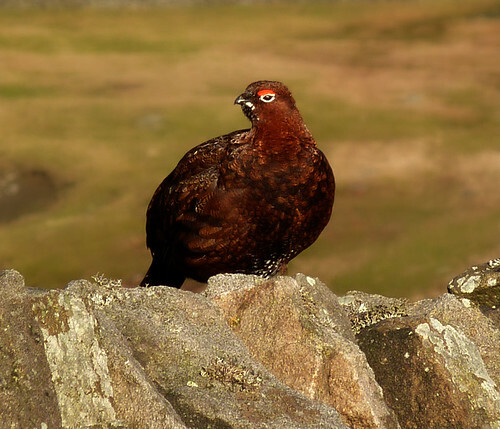 The arrival of the Glorious Twelfth is the signal for thousands of would be game hunters to dust down the contents of their gun cabinets and ammunition boxes and head for the moorlands of northern England and Scotland to declare open season on the Red Grouse “Lagopus Lagopus Scoticus”. Let’s face it the vast majority have not and never will eat grouse let alone see one alive, unless you count the one on the Whisky Ad of the same name, but there are some interesting facts about the 12th August you maybe didn’t know. 30BC The gloriously beautiful (allegedly) Cleopatra VII, the last ruler of the Egyptian Ptolemaic dynasty, committed suicide reportedly by means of a snake bite. 1762 The future George IV, Hanoverian King of England was born on this day. He reigned from 1820 until his death in 1830. Flamboyant and a big spender he was not that popular but gets brownie points for building the glorious Royal Pavilion at Brighton. 1831 The Game Act was passed to law allowing the shooting of Red Grouse and Ptarmigan between the 12th August and December 10th each year. But did you know that not all game birds can be shot from this day, for most the season begins on 1st September and for Woodcock and Pheasant it is October 1st. As the Game Act prohibits shooting on a Sunday in some years (e.g. 2001 and 2007) we have a Glorious 13th August. 1898 Hawaii and all its glorious beaches were annexed to become part of the United States of America. 1908 Ford Motor Company unveiled the first Model T motor car – a glorious classic. 1956 Canadian actor William Shatner (Captain Kirk in Star Trek) married Gloria Brink and on the same date 3 years later married Gloria Rand. Glory Glory!! 1960 Echo 1, the first ever communications satellite, was launched and on the same date in 1977 the Space Shuttle Enterprise made its first atmospheric flight. Glorious days for NASA. 1966 The Beatles began their last ever tour starting with a gig in Chicago. John Lennon had to apologise for boasting that the band were more popular than Christ in all his Glory. 1981 IBM released its first personal computer, the IBM 5150 which with 64 kb of RAM, a single 5 1/4″ floppy drive and a dodgy monitor cost $3,005 or £1500 in old money. Nothing glorious about that but at the time just 30 years ago it was state of the art. Any other interesting facts about 12th August? This entry was posted in Gun Storage and tagged glorious twelfth, gun cabinets, gun storage, guns, shooting by barrie.holden. Bookmark the permalink.